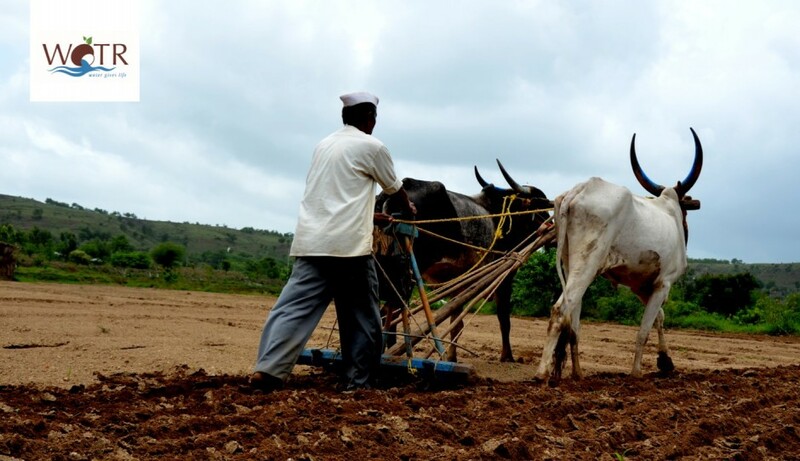 Since last few years, Jalna district, like most of the Marathwada region in Maharashtra, in dry seasons has been suffering from scarcity of water for both purposes, agricultural and domestic use. In recent years, the shortage of water has become so acute that in 2016, there were 4,000 tankers supplying water to the rural parts of the district  . Also, as the geology of Jalna is basaltic in nature, groundwater recharge potential is limited. Climate change is exacerbating the problem further. Erratic rainfall, recurrent droughts and drought like conditions, extreme changes in weather conditions (such as unseasonal rainfall, hail storms and cold and heat waves), crop failure and crop loss, declining groundwater levels, and increasing water requirements of industries are the major challenges faced by Jalna. As a result, water scarcity for meeting domestic and livelihoods (mainly farming) needs of rural families has become a severe concern. Thus, agriculture crisis is leading towards migration of rural population to cities and towns, indebtness and crisis at their family levels. Finding sustainable solutions to such grave and complex problems is beyond the scope and capacity of any single agency, authority, user or organization. Hence, it becomes vital to engage all the stakeholders together for understanding the multi- layers of these problems, followed by planning and finding collaborative solutions to them. Transformative Scenario Planning (TSP) offers a useful way forward in addressing such complex issues. Developed by Reos Partner (www.reospartners.com), the TSP methodology enables stakeholders to understand the possible future around the given topic or to uncurtain what could happen in the future on a given topic. Rather than passively adapting to the possible future adverse circumstances, this approach provides an opportunity to stakeholders to make necessary changes or transform the possible adverse situation by taking appropriate early steps. The TSP approach seeks to bring together diverse stakeholders from different backgrounds like different categories of resource users (across class, class and gender), academia, government, business, research organization, administrators, media, and NGOs. This diverse set of participants jointly debate a particular problem and develop the possible future scenarios that could emerge. The aim of the TSP is to stimulate thinking of different stakeholders and value views and perceptions of each other (even conflicting views) about the current situation and what the future might be. This engagement provides an opportunity to stakeholders to relate their real life experiences, observation, knowledge they have accumulated and information they have gathered to build the collective picture of possible future scenarios. Keeping the above context in mind, Watershed Organisation Trust recently organized a two-day workshop on residential Transformative Scenario Planning (TSP) at the Krishi Vigyan Kendra Jalna. Titled. “Water Situation in Rural Jalna in 2030: For Domestic and Livelihood Needs” with the support of Adaption at Scale in Semi-Arid Regions (AASAR), Hindustan Unilever Foundation (HUF), UK Government’s Department for International Development (DfID) and the International Development Research Centre ( IDRC) Canada.40 participants representing diverse backgrounds like farmers, government officials, NGOs, experts, academic and research institutes, and farmer groups took an active part in the workshop. In the span of 2 days, participants took part in several activities and exercises and together tried to develop scenarios depicting the water situation of rural Jalna in 2030. Next workshop on making strategies to effectively deal with these scenarios and address the possible adverse circumstances is planned in January 2018.